Peru is best known for its World Heritage listed Machu Picchu and the Inca Trail. But it’s mining that really drives the country’s economy. Peru’s natural resources attract some of the largest, and best known, global resource companies whose mega projects represent a major contribution to the country’s GDP. Savvy resource stock investors might also know that Peru is Latin America’s top gold producing nation... and the world’s sixth largest source of the yellow metal. The country produces around 150 metric tonnes of gold per year, yet there are reports that it still has the largest undiscovered gold reserves of any country in the world. 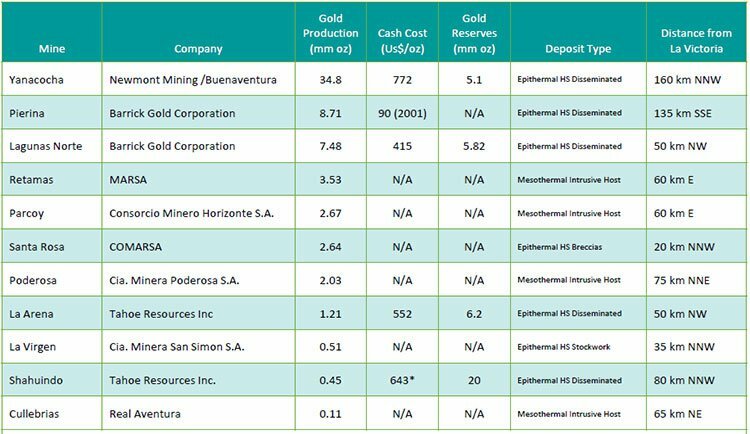 Those reserves have attracted world-class, low-cost gold producers, including the likes of multi-billion capped companies Tahoe Resources, Barrick Gold Corp, Gold Fields and Newmont Mining. The company we’re introducing you to today has entered into a farm-in agreement to acquire up to a 80 square kilometre project in Peru’s North Central Mineral Belt. The La Victoria Project situated slap bang in the middle of this major gold producing region amongst proven major gold miners. In fact, three existing producing mines are visible from the property. This previously privately held project holds excellent potential for discovery — a large epithermal system has been identified at the extensive property — yet it has never been drilled. That’s until now, with this ASX-listed small cap set to begin drilling within the coming month. This well-funded, extremely tightly held company has a lot working in its favour including a quality, highly prospective project located in a stable and mining friendly jurisdiction. 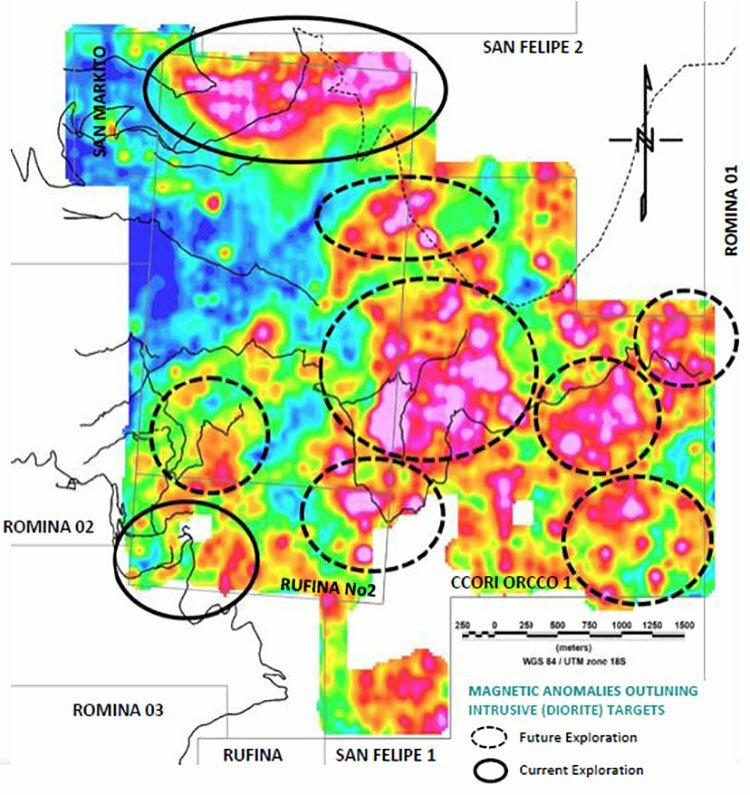 Furthermore, its mineralised targets have been identified and are ready for drilling, which will be undertaken in a conservative two-staged approach to exploration. At the recent cap raising price of 7 cents per share, today’s company has a market capitalization of $7.35 million with over $6.3 million in cash as it begins its earn-in to La Victoria. Clearly this is a company with outstanding leverage to its upcoming drill campaign. However, it is an early stage company and investors should seek professional financial advice if considering this stock for their portfolio. There is a strong management team driving this project forward, all of whom are well connected. However, this team will be strengthened when Michael O’Keefe officially joins as Director. O’Keefe is currently Executive Chairman of the ~$375 million capped Champion Iron Limited (ASX: CIA). EHX would be hoping for a similar growth in market cap to CIA in the near future. O’Keefe was also Executive Chairman of Riversdale Mining Limited, before it was acquired by Rio Tinto in 2011 for $3.7 billion. From 1995 to 2004 he was Managing Director of Glencore Australia Ltd.
Suffice to say there is a great deal of experience pushing this project forward. You’ve likely never heard of this company as it has only just been relisted on the ASX, having revised its focus with new assets and converting to a mineral resource company from an oil and gas explorer. However, with news flow to come, you’ll no doubt be hearing more and more. 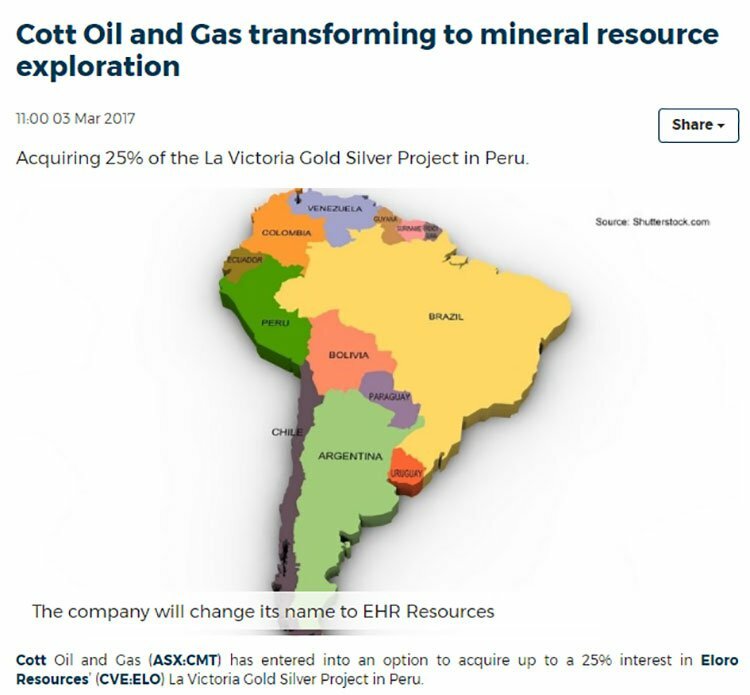 Perth-based EHR Resources (ASX: EHX) has identified the huge potential on offer from mining for gold in Peru... and it has one unique property in view. Owned by Canada’s Eloro Resources (TSX-V: ELO) — a C$23 million-capped exploration and mine development company — the La Victoria Gold-Silver Project is a highly promising, yet still to be developed, gold project located amongst world-class gold producers. La Victoria sits in a prime location in the Peruvian Gold Belt in a stable, mining-friendly jurisdiction, with mineralised targets identified for immediate drilling. EHX has entered into a farm-in agreement with Eloro, where it has the opportunity to earn up to a 25% interest in the La Victoria Project via staged exploration expenditures. This is a big change for EHX. Formerly known as Cott Oil and Gas and trading under the code CMT, the company had been focused on oil and gas exploration. That was until EHX made a strategic decision to transition to becoming a mineral resources company. It sold its oil and gas interests in Papua New Guinea, and is now seeking to build a portfolio of quality mineral resource projects, focusing initially on base metals and gold. 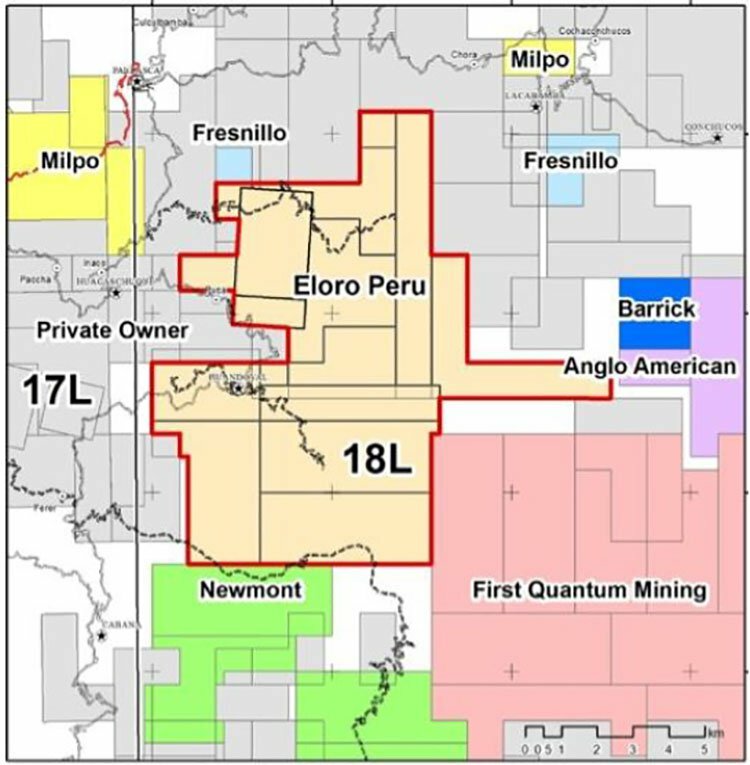 The proposed transaction with Eloro to explore the La Victoria Project is the first step in this new direction. This change in the company’s activities was approved by EHX shareholders at a company meeting earlier this year and was officially changed on June 19, 2017. The La Victoria property has been owned privately for 30 years, yet it has never been drilled — and is the last remaining area in the North Central Mineral Belt of Peru that has not been drilled. This is an extraordinary point, when you consider that three huge, productive mines can be seen from the property, along with the fact that the geology of the region is known to be highly prospective. The geology of the property is the same as the rest of the belt, which houses the region’s big name gold miners. It has the same rocks as at other deposits and there are direct similarities with the trend running to the North. Elephants, as some of the world’s largest animals, are becoming rare — just like super-large-sized mineral deposits that are not common, but can still be found. These rare deposits are known in the mining industry as elephants. Like elephants, which are typically found in herds, miners tend to gravitate towards ‘elephant country’ in their hunt for meaningful discoveries. And one of the world’s most prolific gold herds is found in Peru’s North-Central Mineral Belt. The La Victoria Gold Silver Project holds a large land position among some of the lowest cost producing gold mines globally. 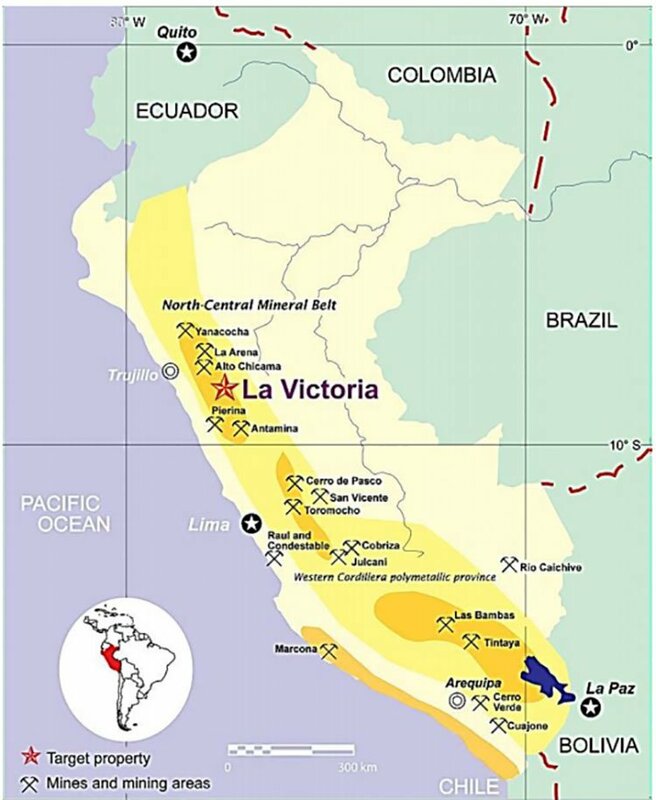 La Victoria covers 80.4 square kilometres and is within 50 kilometres of several large, low-cost producing gold mines. Located in the prolific North-Central Mineral Belt of Peru, it is 600 kilometres from the capital, Lima, or a 12 hour travel time. Infrastructure in the area is good with access to road, water, and electricity and is located at an altitude that ranges from 3,100m to 4,200m above sea level. The Property is located in Huandoval District, Pallasca Province, Ancash Department, in the prolific North-Central Mineral Belt of Peru. This region is highly prospective for gold and copper mineralisation containing Low Sulphidation Epithermal Deposits. 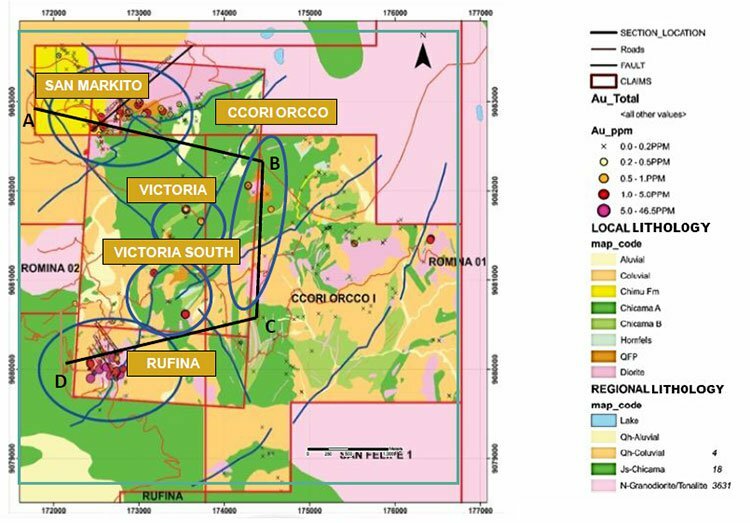 The 80 square kilometre project is made up of 16 concessions, with five principal mineralised zones: San Markito, Rufina, Victoria, Victoria South, and Ccori Orcco. These targets were identified in the 1970s but are yet to be drilled. The project has eight registered mining concessions and eight mining claims in the registration process, of which five are under technical review. La Victoria has perfect open pit topography, which could really facilitate mine development. Below is a magnetic map (analytical signal) that shows a number of very prospective targets in intrusives and sediments. 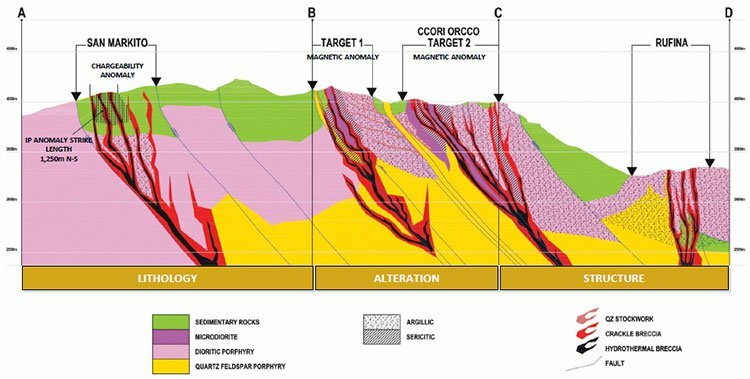 Gold-silver mineralisation occurs in structures associated with dioritic and sedimentary rocks and major mineralisation is expected at the intrusive/sulphide contacts. 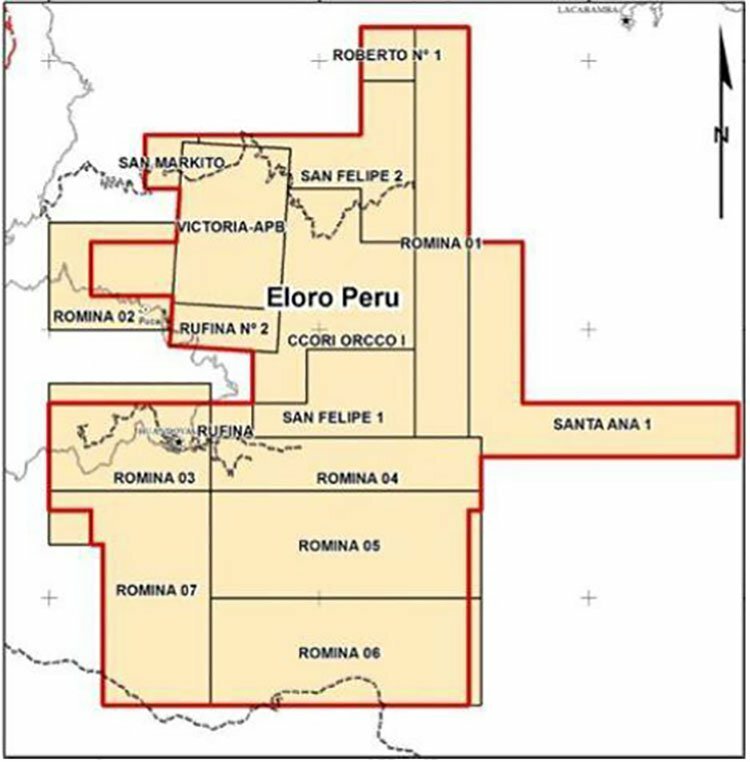 Currently, Eloro Resources (TSX-V: ELO) holds a 100% interest in the La Victoria Project. On March 30, EHX announced that it had entered into a definitive farm-in agreement with Eloro (Note: EHX was trading as CMY at the time). This agreement provides EHX with the option to acquire up to 25% of Eloro’s La Victoria Gold-Silver Project. This agreement gives EHX access to Eloro’s technical skills and abilities to explore and develop the La Victoria project through feasibility and production. Eloro has predicted that eventual mine costs could come in at less than US$500 per ounce of gold. 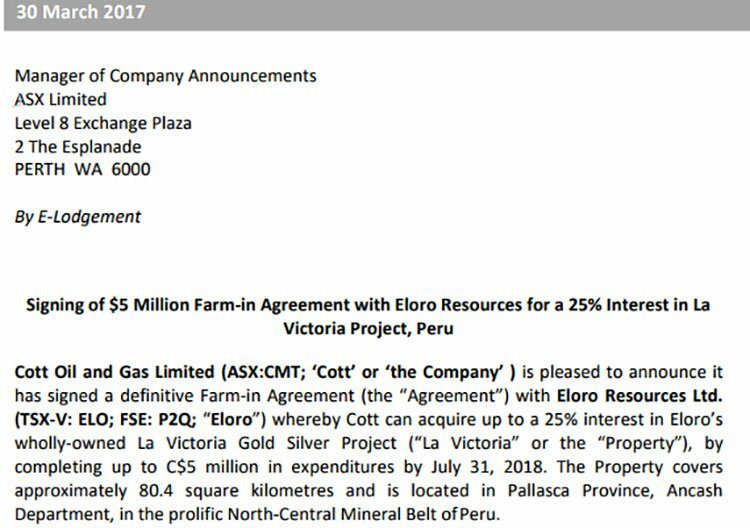 EHX will have the right to earn its interest in La Victoria by contributing up to C$5 million in expenditures by 31 July 2018. The acquisition will occur via a conventional farm-in in two stages. EHX can earn an initial 10% interest in the property via C$2 million expenditure by 30 October 2017, and a further 15% interest by expending an additional C$3 million by 31 July 2018. This farm-in to the La Victoria Project is the first step in the company’s transition to become a quality resources company. However, it does have a long way to go to manage this and investors should take a cautious approach to any investment decision made with regards to this stock. Its game plan involves targeting advanced exploration projects that have a high potential for large scale discoveries — La Victoria, as the first step, certainly meets this criteria. The article below, from April this year, outlines Eloro’s (and EHX’s) opportunity at La Victoria. As you can see, it is a significant opportunity made even stronger by those who surround it. A quick look over the map below highlights just how significant the nearology is at this project. Surrounding La Victoria (outlined in red) are a number of world-class, low-cost gold producers. These include the C$22.2 billion-capped Barrick Gold Corporation (TSE:ABX| NYSE: ABX) and its Lagunas Norte Mine. The mine is an open pit, crush and heap leach operation that hosts gold reserves of around 9.2 million ounces. The $18.1 billion-capped Newmont Mining’s (NYSE:NEM|TSX:NMC) Yanacoocha Mine is also nearby, and within 50 kilometres of Trujillo, which has a population of 1.5 million inhabitants. Since 1993, Yanacoocha has produced more than 26 million ounces of gold, and hosts a reserve of 7.3 million ounces. London-listed Fresnillo (LON:FRES) is another major producer in the region. The $11 billion company has reserves of 3.6 million ounces of gold as well as copper reserves. The £15.5 billion-capped (AU$25.8BN) Anglo American Plc is another major miner operating nearby. The EHX Board is well connected within the industry, having access to new opportunities in gold and base metals. EHX’s largest shareholder, holding a 16.79% interest, is Michael O’Keeffe. Once the deal with Eloro is complete, O’Keeffe will join EHX in a Director role. O’Keeffe is well known within the resources industry worldwide and will bring a wealth of experience to the company as it pursues a new direction within the resources sector. He is currently Executive Chairman of the $398 million capped Champion Iron Limited (ASX: CIA), and was previously Executive Chairman of Riversdale Mining Limited, before it was acquired by Rio Tinto in 2011. O’Keeffe was also the Managing Director of Glencore Australia Ltd from 1995 to 2004. Add to this the experience of the Eloro Resources team which will be conducting exploration activities alongside EHX. EHX has plenty of cash to fund its farm-in agreement and exploration activities at La Victoria. On 30 May 2017, EHX announced that it would seek to raise capital of $2 million. It issued 28,571,429 shares at an Offer Price of $0.07 per share, and the offer closed oversubscribed on 6 July 2017, raising the $2 million. At the end of the March quarter, EHX had cash reserves of $6.09 million, including $1.524 million from the capital raising. Since the quarter end and after the Prospectus closed, EHX has raised the full $2 million. With EHX only now relisting on the ASX and refocusing its operations and ambitions, there isn’t trading history for the company. However, the current 100% owner of the La Victoria Project, Eloro Resources (TSX-V: ELO) has rewarded it shareholders. Below is the share price performance of Eloro since January 2015. In those two and half years, the company’s share have rallied by more than 1,280%. If Eloro can continue this performance at La Victoria, along with EHX, we can only hope that EHX shareholders will also see some upside in the share price. Of course this remains a speculative stock, so investors should seek professional financial advice before making an investment decision. There is plenty of reason to believe that EHX could re-rate as the company embarks on its new direction, seeking to build a portfolio of mineral resource projects. 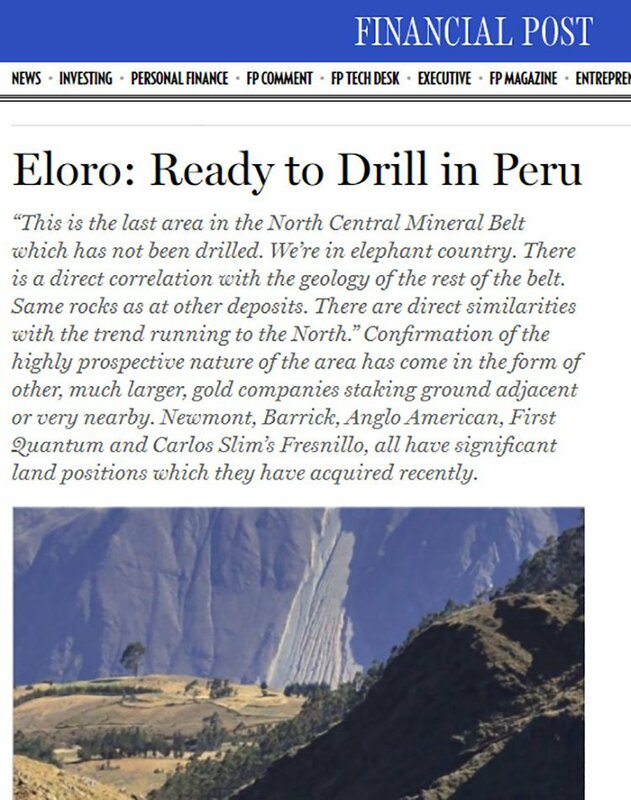 It’s off to a strong start, beginning with the highly prospective La Victoria Project in gold rich elephant country, supported by its experienced management team and alongside a proven project partner in Eloro Resources.